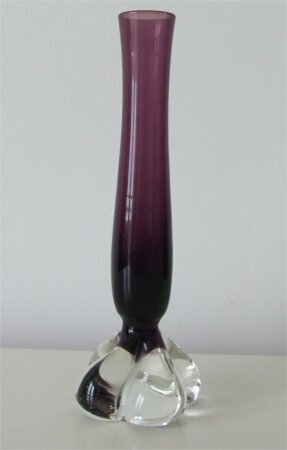 This vase is approximately 150mm (6inches) tall. 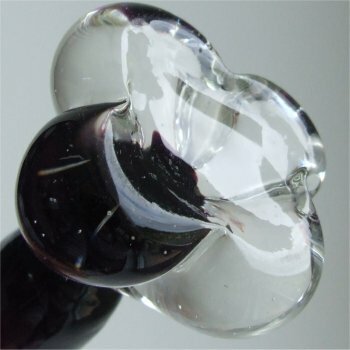 The base is clear and shaped into four lobes which have been twisted slightly. The bottom of the base is concave and smooth (see image below). It is very similar to the six lobed Aseda vases, which can be seen on the link above. The stem is coloured amethyst and has a bulbous shape which flares out slightly at the top being approximately 20mm (8/10ths of an inch) across.